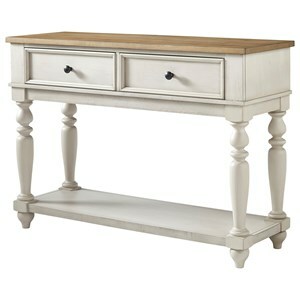 Bring both elegance and functionality to your dining area with this traditional sideboard. Sitting on top of classic bun feet, the antique white finish perfectly accentuates the rubbed wood top and dark, metallic drawer knobs. Style aside, this piece gives you plenty of storage options with its five drawers and interior storage behind the two doors. 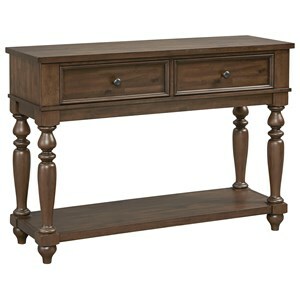 Keep your essential dining items within reach and enjoy the traditional charm of this impressive sideboard. The Grand Bay Traditional Sideboard with 5 Drawers and Interior Storage by VFM Signature at Virginia Furniture Market in the Rocky Mount, Roanoke, Lynchburg, Christiansburg, Blacksburg, Virginia area. Product availability may vary. Contact us for the most current availability on this product. 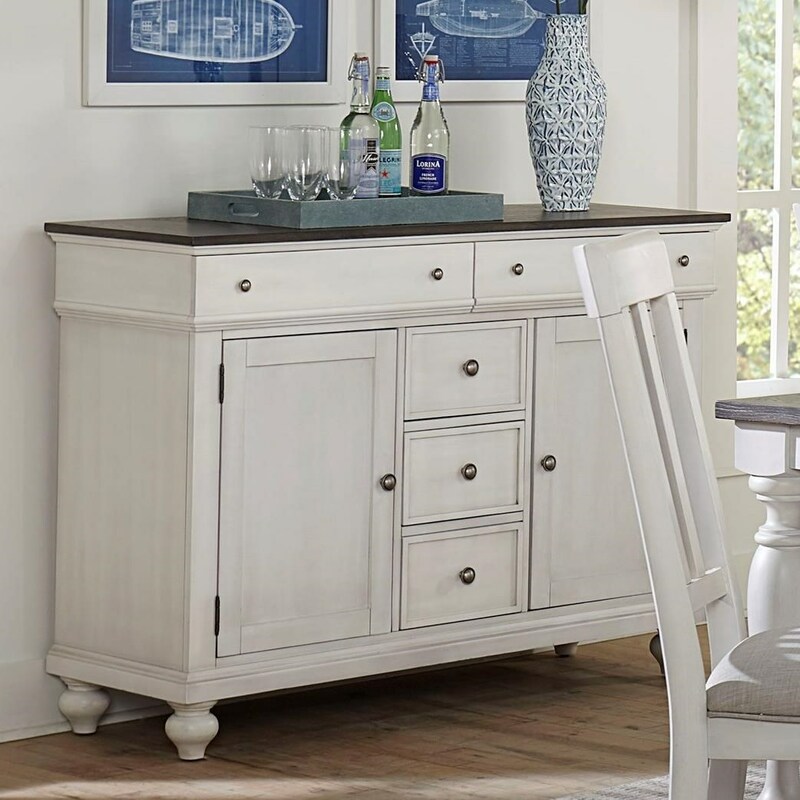 Browse other items in the Grand Bay collection from Virginia Furniture Market in the Rocky Mount, Roanoke, Lynchburg, Christiansburg, Blacksburg, Virginia area.